Nokia 8800 Carbon Arte is cast in the same mold as the Arte and the Sapphire Arte, but with different material this time, where carbon fiber with etched 3D patterns dominating the exterior. The phone reflects a modern feel through the unique tones, textures and sculpted shapes that carbon fibre and titanium deliver. 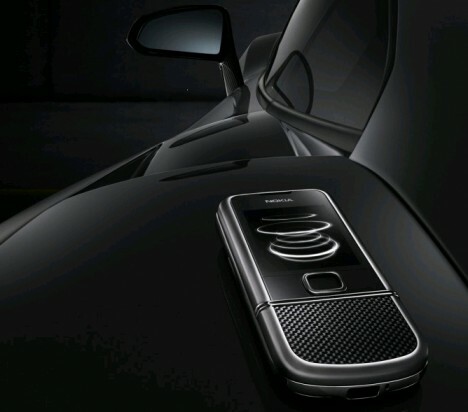 Nokia 8800 Carbon Arte offers 3G capabilities, 3.2 megapixel auto focus camera and high quality audio. Furthermore, the phone boasts a stunning OLED display and built-in memory that has been expanded to 4 GB. The phone also comes in Nokia’s anti-fingerprint coating that reduces smudges on metal and glass. The Carbon Arte offers unique tap-for-time feature, in which a clock appears on the screen when user tap the steel surface below the display twice. Special turn-to-mute silencing mechanism allows user to silence incoming calls by turning the phone over with screen-side down. The Nokia 8800 Carbon Arte is delivered with an exclusive range of accessories, such as Bluetooth touch-sensitive volume control headset, a stylish desk stand and a beautiful leather carrying case. 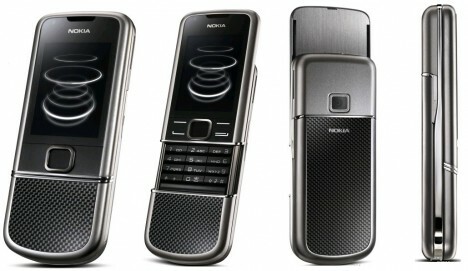 The mobile phone will become available in the 3rd quarter 2008 selling at approximately EUR 1,100.